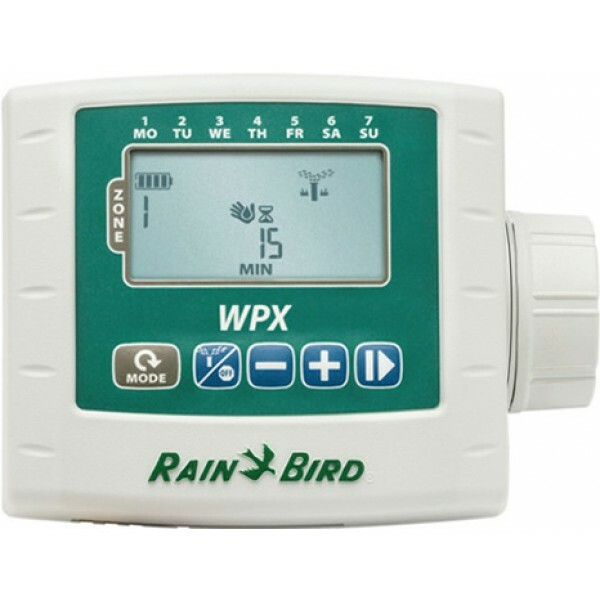 Get reliable automatic irrigation control when you don’t have AC power with the WPX Series Battery-Operated Controller. The WPX’s waterproof case and dual-sealed battery chamber ensure long life even when installed in a wet, muddy valve box. In harsh environment testing the WPX outlasted the competition by 70%. After being submerged in water at alternating extreme hot and cold temperatures the WPX was still going strong after the competition failed in less than two days. Common programming features are easily accessed on one screen, making programming quick and easy. The LCD screen is 85% larger than the Hunter® Node and the programming icons are big and easy to understand. Manual watering is easy with a dedicated button. The WPX operates for one year using one 9-volt alkaline battery, or more than two years with two 9-volt alkaline batteries.